These Folders are our answer to obsolete paper folders. 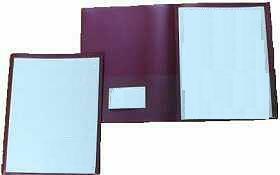 Made of quality Polypropylene and Ultra Sonic Serrated Sealing these folders will protect your important information. Archival safe will keep your ink on the paper, not on the folder. Tear resistant pockets, four total pockets, & business card holder will make sure your data is organized. 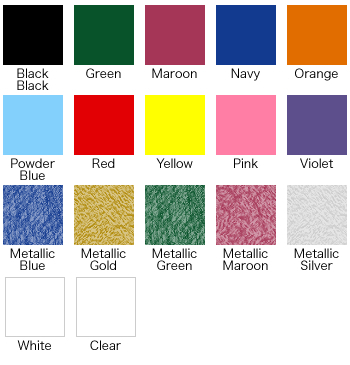 With 13 colors to chose from these Folders will make the paper folder obsolete. We use Ultra Sonic Serrated Sealing on our folders which make them a strong alternative to flimsy paper folders. Also the 4 1/2" crystal clear polypropylene pockets have a tear resistant notch, which prevent accidental tearing when loading your important documents. Add some personality by placing your personal business card in the left pocket.